Splatoon’s latest North American Splatfest has gone live, just in time for Halloween. Players can either be on Team Pirate or Team Ninja. Like usual, the Splatfest will end after a full day – 12 AM ET on Sunday and 9 PM PT on Saturday. The results will be available soon after the event is finished. The 33rd Golden Joystick Awards were held at the indigO2 at London’s O2 Arena. 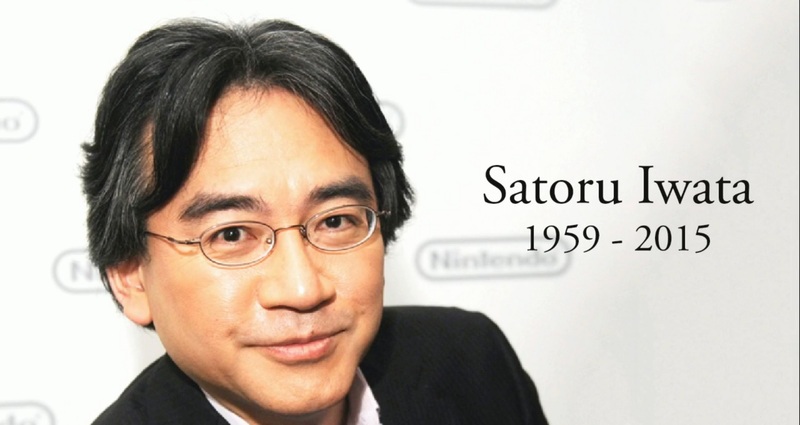 During the event, the late Satoru Iwata was honored with a Lifetime Achievement award. Satoru Iwata, the Nintendo CEO who sadly died in July this year at the age of 55, was honoured with the Lifetime Achievement Award. A revered man of the gaming industry, Satoru was the driving force behind many of Nintendo’s products including the Wii and DS, and is credited for bringing gaming to the masses by making it family entertainment. Starting out as a programmer in the 1980’s for a subsidiary of Nintendo, he became president in 2002, the first outside of the company’s founding family. He was renowned for first and foremost being a gamer and was described as “… having the brain of a game developer and the heart of a gamer”. His contribution and impact on modern gaming is second to none. 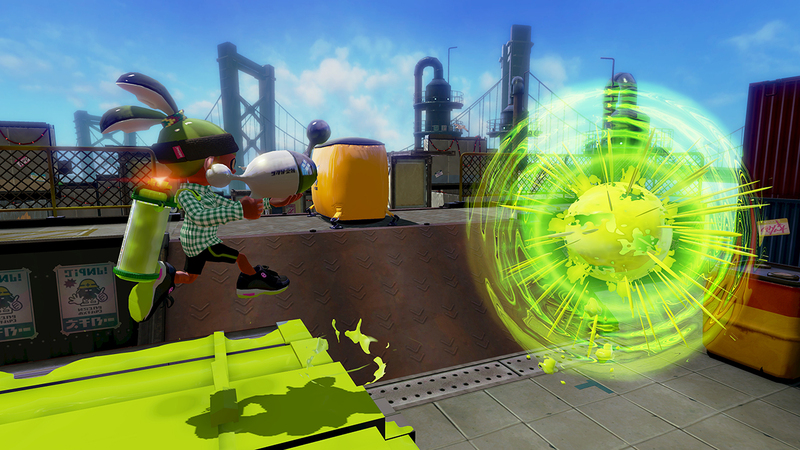 Splatoon also saw a couple of wins at the Golden Joystick Awards. The Wii U title was chosen as “Best Family Game” and “Best Nintendo Game”. 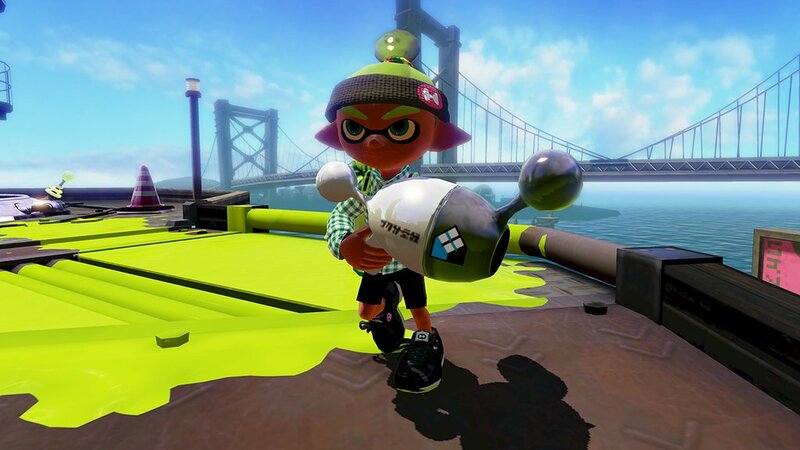 Splatoon usually adds new weapons on Fridays, but that’s different this time around. The Luna Blaster Neo and H-3 Nozzlenose D have both been added to the game and can be used now. Tonight you can get your hands on the Luna Blaster Neo. This blaster comes with Splat Bombs so we got you a blaster pro-tip: use the Splat Bombs to force your foes closer so that you can hit ‘em with your Luna Blaster Neo. 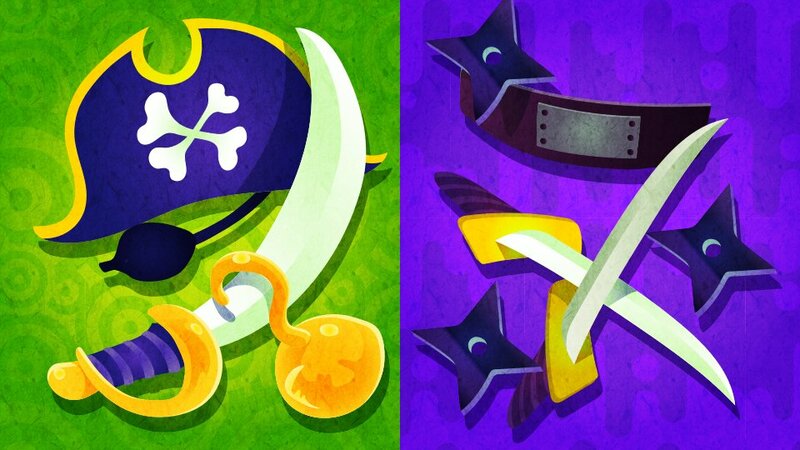 Two new weapons are coming to Splatoon tomorrow. 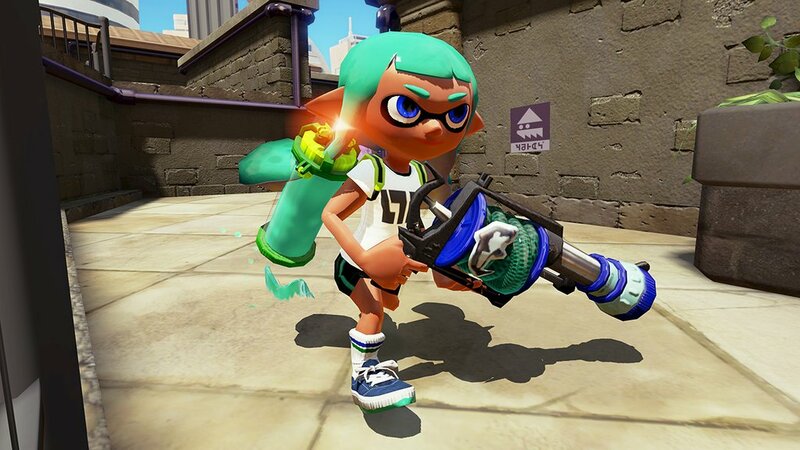 The Luna Blaster Neo and H-3 Nozzlenose D are variations of the Luna Blaster and Nozzlenose weapons, respectively, with different sub weapons and special weapons. The Luna Blaster Neo will come with Splat Bombs and the Bomb Rush special, while the H-3 Nozzlenose D will come with Point Sensors and the Inkzooka. The weapons will likely be released at the usual times: morning in Japan, the middle of the night in Europe and evening in North America. 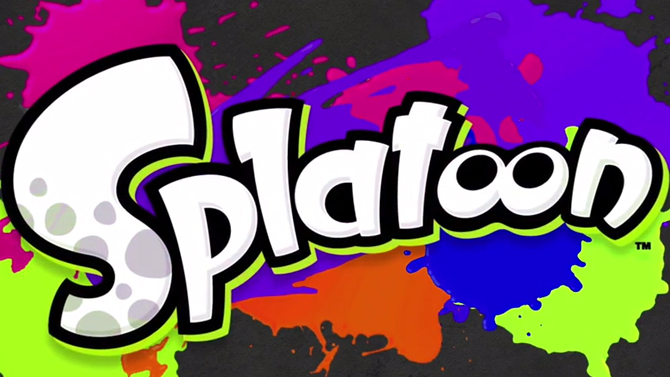 As we previously reported, Splatoon sold 24,000 copies in its first day. Data from Oricon now reveals that it managed to sell a total of 43,000 units in its first week. Overall, the Splatoon soundtrack was the best-selling album in Japan for the week of October 19. A few hours ago, Nintendo announced that the seventh North American Splatfest will be held next weekend. It turns out that the same event – though with a different topic – is planned for Japan. The new Japanese Splatfest pits love up against money. Nintendo is also making a notable change with the new Splatfest. Going forward, wins will be more important for all regions. Results will now be calculated by multiplying the win percentage by six and adding that amount to the popularity percentage. Previously, win percentage was only multiplied four times. Splatoon’s seventh Splatfest has been dated for North America. You can either choose to be on Team Pirate or Team Ninja (not the developer!). The new Splatfest will begin at 12 AM ET on October 31, and 9 PM PT on October 30. 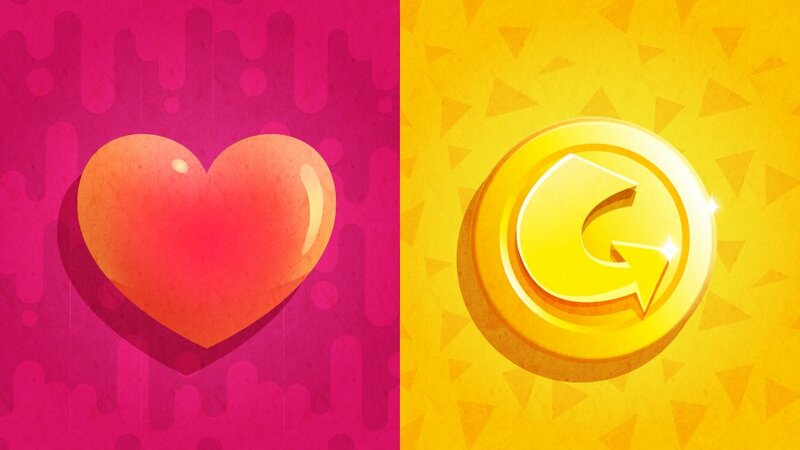 Nintendo will hold the event for a full day, with the results coming soon after. Nintendo just announced another Wii U hardware bundle for Japan. Starting on November 12th, a Splatoon bundle will be available for a limited time in stores for 34,000 yen. 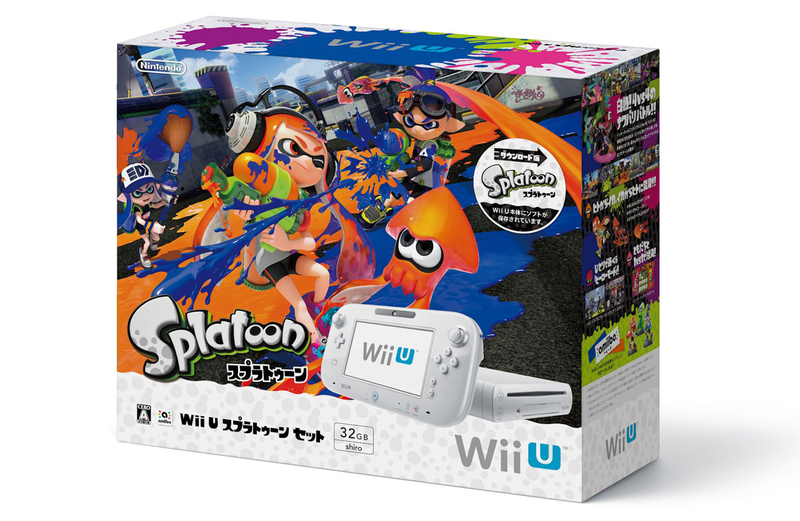 The bundle includes a white 32GB Wii U and a digital version of Splatoon. Given the game’s ongoing popularity in Japan, it’s not surprising that Nintendo is including it in a hardware bundle. Oricon is known for putting out music charts and in Japan. 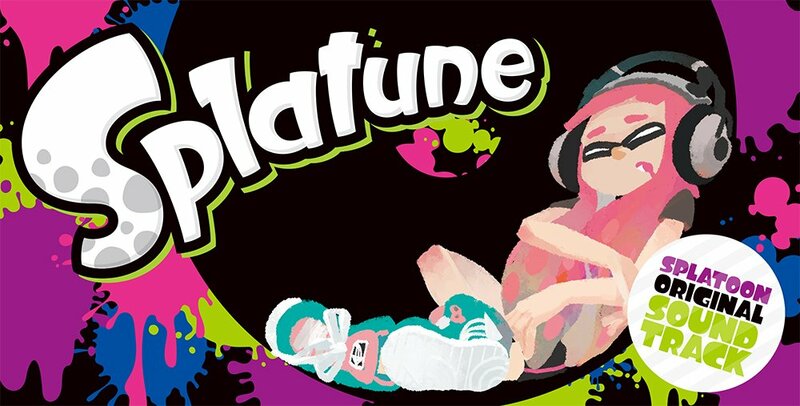 Based on information that they’ve shared, it looks like the Splatoon soundtrack sold 24,355 during its first day of availability. It was actually the second best-selling album as a whole, falling only behind Arashi’s Japonism. Thanks to dataminers NWPlayer123 and DrLilrobot, a little bit of new content from Splatoon has leaked. What was recently found appears to come from the game’s 2.2.0 update. To avoid spoiling anything, we won’t be showing any specifics on the homepage. Head past the break for more details!